Living My Essential Life: Which Carrier Oils Are Best For Nails? A carrier oil, also known as a base oil or vegetable oil, is used to dilute essential oils before they are applied to the skin. They are used to “carry” the essential oil onto the skin. So, in other words, they soak into the skin instead of sitting on top. Most carrier oils do not have an aroma (or are very faint), unlike essential oils. If the smell is harsh, most likely it has become bad and should be thrown away. Carrier oils can be used alone or you can add essential oils for added benefits. Carrier oils for skin care have many benefits alone. Most are moistening and some even have antibacterial effect. 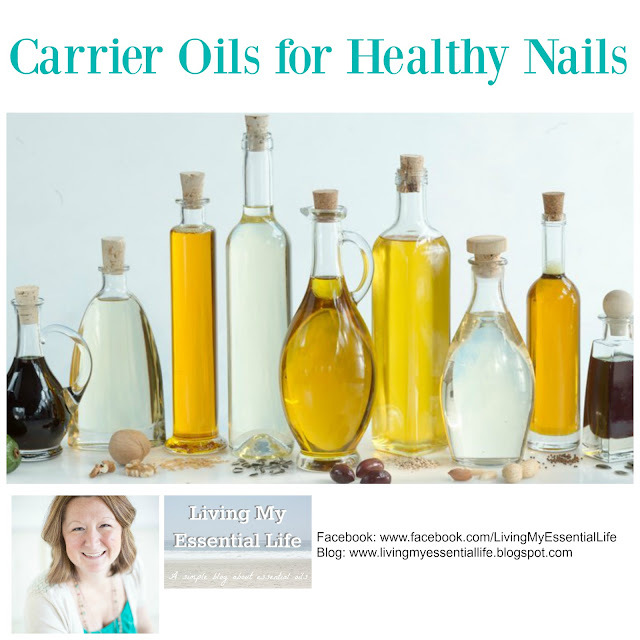 You will always use more carrier oil then essential oils when using on your hands and nails. You no longer need to spend your hard earned money at fancy nail salons; use this simple everyday grocery item and you will notice a significant difference in the overall condition of your nails. It will help strengthen brittle nails, stimulate growth, and soften and nourish dry and hard cuticles. Almond oil is extremely popular for use in skin care products. This is simply because it contains the antioxidant Vitamin E; it is also easily absorbed and deeply penetrates into the skin making it a very effective nail moisturizer. Jojoba oil has been used around the world by many cultures for centuries because of its beneficial beauty and skin care properties. The list of uses for this miracle natural oil is endless, including its ability to help improve the overall condition of nails. Jojoba oil has been proven to be extremely effective for the maintenance and repair of hands and nails. The moisturizing agents contained in this natural oil are sufficient to ensure your nails remain strong and healthy long after use. By using jojoba oil on a regular basis it also allows for better absorption of Vitamin E which helps condition and nourish your nails. Many people are unaware of the amazing qualities Argan oil possesses for use as nail treatments. This natural oil acts as an effective toner for the nails by moisturizing, strengthening, and protecting. If you have dry brittle nails Argan oil will help nourish and repair, by providing them with all the essential vitamins and minerals required for them to grow strong and healthy. It also helps to strengthen delicate skin around the roots and keep its smooth. Mix these with essential oils for some awesome ways to promote growth, prevent breaks and strengthen nails! 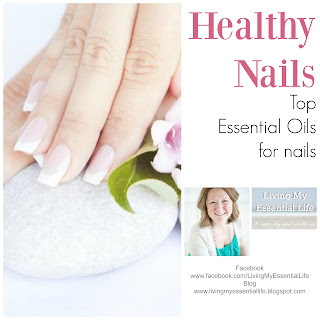 Read this blog: Top Essential Oils for Healthy Nails & Cuticles!